Subaru Outback, Legacy, Impreza 2012 Safety Recalls: Have You Been Notified? There are two safety recalls on a specific number of Legacy and Outback models that the dealer will check and fix, if needed. When the NHTSA released this statement in February 2012, Subaru told the agency there had been no field reports of any vehicle problem from any market-either the United States or Canada. The issue was revealed when component supplier Takata-through Subaru of Indiana Automotive Inc.-informed Subaru parent Fuji Heavy Industries that the side curtain airbags had not deployed during their sampling inspection. The recall began in April. While the few number of Subaru models affected do not qualify this as a major recall, since air bags and air bag deployment are safety measures, it would be wise to make sure your Legacy or Outback vehicle is not on the list. 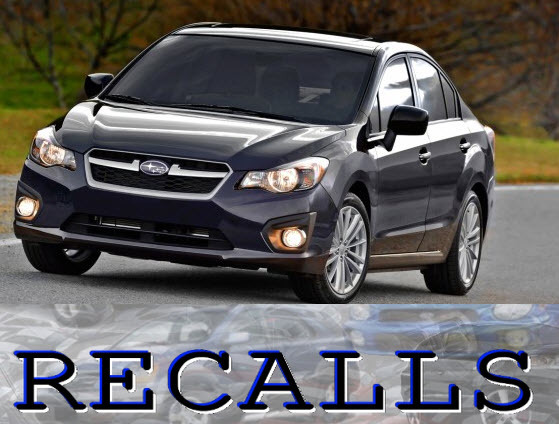 This factory recall on brake master cylinders affects 2012 Legacy and Outback models built from 10/17/11 through -11/23/11, and 2012 Impreza models built through 11/15/11. Affected Subaru car models already on dealer lots were inspected and repaired before they were put back for sale to the public in November/December 2011. Cars already delivered to customers when the recall notice was released received their master cylinder parts in early December 2011. Subaru received about 130 complaints of excessive brake travel among the first 3,000 new 2012 model year vehicles sold. That initial 4.3% complaint ratio is enough to make sure your brakes are functioning properly and safely. If you drive one of these affected Subaru cars (look on the driver door decal for the production month and date), and do not know about the excessive brake pedal recall, take your Subaru to the dealer. The fix takes about one hour to complete. Remember that Subaru quietly leads the way in lifelong performance and safety. Our Subaru specialists are just as passionate about your Subaru as you are. Since 1980, we have hired specially trained ASE Certified Technicians to service and repair Subaru vehicles. Call GT Automotive today, 801-302-0912, about servicing and/or repairing your Subaru model here in Salt Lake City, Utah. This entry was posted in Subaru Auto Repair Salt Lake City, Subaru Auto Repair Sandy, Subaru Car Repair Salt Lake City, Subaru Car Repair Sandy, Subaru Factory Recalls, Subaru Repair Salt Lake City, Subaru Repair Sandy and tagged Subaru Auto Repair Salt Lake City, Subaru Auto Repair Sandy, Subaru Car Repair Salt Lake City, Subaru Car Repair Sandy, Subaru Factory Recalls, Subaru Repair Salt Lake City, Subaru Repair Sandy.